See below many tour options you can book in our website. For a list according to your travel profile, select how you travel and click on OK. You can also contact us for a tailor-made alternative. It does not matter if it is for one person or for a group – count on our expertise on spot! Book the most famous tour in Curitiba! The category tourist has Portuguese speaking guide on board. If you prefer English speaking guide, look for the options Cabin / Imperial / Standard Litorina or Luxury Train. This tour option includes the pick up service from your centrally located hotel or address, train ticket in the category tourist (guide in Portuguese, snack and 1 water or soda), regional lunch, visit to Morretes and Antonina and return to Curitiba by van or mini-bus. The pick up time starts at 7:00 and you will be back around 17:00. This is a shared tour – you will be in a group, mainly with Brazilians. What about to have your tour in the newest train category? This tour option includes pick up service at your hotel or central address (return), train ticket in the Baron car category (guide in Portuguese/English, snacks and beverages: water, soda and beer). You will also visit Morretes and Antonina, have a regional lunch and return to Curitiba along Graciosa Road or BR-277. Starts from 7:00 and ends about 17:00. This is a shared tour – you will be in a tour group, mainly with Brazilians. Would you like to have a stilish rail tour? What about to book the Cabin or Imperial cars? This tour option includes pick up service at your hotel or central address (return), train ticket in the Cabin or Imperial category (guide in Portuguese/English, snacks and beverages: water, soda and beer). You will also visit Morretes and Antonina, have a regional lunch and return to Curitiba along Graciosa Road or BR-277. Starts from 7:00 and ends about 17:00. This is a shared tour – you will be in a tour group, mainly with Brazilians. Indulge yourself! Book the most comfortable tour option of the famous railtour! 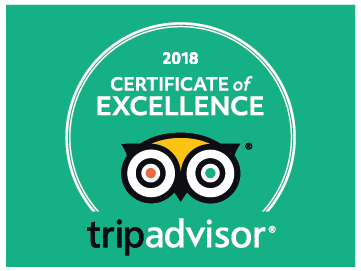 It includes pick up service from your centrally located hotel or address, train ticket in the deluxe category (Portuguese/English speaking guide, snacks and included beverages), regional lunch in Morretes or Antonina, visit to these both lovely towns and return by van or mini-bus along Graciosa Road or BR-277. Pick up service from 7:00 ou 8:00 (it depends on the tour date). This is a shared tour – you will be in a group, mainly with Brazilians. Learn more closely the history and culture of Curitiba walking through the city center. On this tour, you will visit tourist and picturesque places, will use the public transportation and hear stories and anecdotes of the past 350 years, accompanied by old photos of some spots where you will pass by. The meeting point is in front of the Cathedral. In this 4-hour tour, you will have the opportunity to see and learn about the major Curitiba sights in the company of an experient local guide that will be exclusively at your disposal. Visit the Botanical Garden, Oscar Niemeyer Museum, Pope´s Woods, and the Wire Opera House, among others spots, with the comfort and flexibility of a private service. A tour for those who want to visit the main spots of Curitiba in a morning or afternoon, with the comfort and flexibility of a private service. During the four hours that our guide will be at your disposal, you will make a sightseeing tour through the center and also know the Oscar Niemeyer Museum, the Pope Woods, Wire Opera House and Botanical Garden. This is a great tour for those who have a special interest about the history and culture of Curitiba! Besides visiting some of the main attractions of the city – Oscar Niemeyer Museum, Botanical Garden and Pope’s Woods – you will have an short walking tour (1 hour) through the historical downtown of the city. This is a private service, which means you will have a guide exclusively at your disposal during the 4 hour tour. What about to visit some of Curitiba´s famous sightseeing places and learn about the production of craft beer in the famous gastronomical quarter of Santa Felicidade? The tour includes famous places such as Oscar Niemeyer Museu, Pope´s Woods and Geman Woods before heading to Santa Felicidade to take part in a guided visit to Garden, a cradt beer producer that has more than 40 different labels. Know how craft beer is made and try one directly from a tank! If you wish, your guide can make another stop in the neighborhood for you to taste home wine produced there, cheese and salami as well. The tour happens Friday afternoon (starts at 2pm) and Saturday morning (starts at 8 am) with previous booking. Visit the places and know more about the biggest corruption and money laundry investigation that Brazil already experience so far, calle Car Wash (Lava Jato). Curitiba is the headquarters of the 13th Federal Criminal Justice office, especialized on finance crimes and money laundry. You will see the Attorney Office, the Federal Justice, Federal Police and the jail “Complexo Médico-Penal”. For security reasons, all visits are only external. Our guides will bring information to explain better the investigation process. Register your trip to Curitiba in a special way! In this tour of 4 hours you will visit the most important touristic points of the city and will have a professional photo shoot with a photographer during two hours. Take home incredible photos of your tour with Curitiba as background! You can make this tour on Fridays, Saturdays and Sundays or on request. See Curitiba from a different perspective! On this tour you will make an evening visit to some parts of the city where the lighting is interesting, as the Paço da Liberdade (former City hall), the Old Town (Largo da Ordem), Oscar Niemeyer Museum, the Wire Opera House and Tanguá Park. After the tour, dinner in Santa Felicidade, the famous gastronomic neighborhood of Curitiba. This is a private service, which means you will have a guide and transportation exclusively at your disposal during the 4 hour tour. If you want to know as much as you can of Curitiba in just one day, this is the perfect tour! You will have an experienced guide at your exclusive disposal for 9 hours to visit all the main spots of the city. The tour includes a short walk around dowtown and then a visit to the Botanical Garden, Oscar Niemeyer Museum, Pope’s Woods, Panoramic Tower, Tingui Park, Tanguá Park, Wire Opera House and Unilivre. In this tour of 9 hours you will visit the best touristic points of Curitiba with a tourism guide and during two hours a professional photographer will follow the tour and register the best moments of your trip with Curitiba as background! You will take home amazing photos of your tour. You can make this tour on Fridays, Saturdays and Sundays or on request. We recommend booking in advance. Do you fancy a different tour at evening and learn about craft beer production that makes Curitiba famous? The tour starts at the micro craft brewer Maniacs where you will learn how craft beer is made and its difference to regular beer. You will also have the chance to taste fresh beer directly from the tank! Next to the production area there is a nice bar where you can have more draft beer or take a snack before heading to the next place. The We are Bastards Pub is a fancy pub specialized on craft beer. You will find 32 sorts of them and the house specialists will help you to choose one that fits your taste better. If you prefer other drinks, you will surely find nice options in the menu, that also includes different kinds of food. The tour happens from Tuesday to Saturday at 18:30 upon previous booking. As the name of the tour says, you will know attractions of Curitiba that are not so explored, but it doesn’t mean that they are not interesting. On the contrary! You will have the chance to visit an Egyptian Museum, the only Holocaust Museum in Brazil, among other sights. To end the ride, learn how to prepare and taste the “carne de onça”, a famous appetizer of Curitiba, made of top quality raw meat and spices, a Curitiba version of the French dish steak tartare. The tour is available mondays, tuesdays, wednesdays, fridays and sundays. During a 7 hours ride, you will visit more than 10 famous sightseeing points of Curitiba during a cheerful tour with picnic! You will see the Botanical Garden, the eye-shaped Oscar Niemeyer Museum (external visit), Bosque do Papa, Wire Opera House,Tanguá Park, and many others. A nice picnic in a park will round up your tour. This tour is available from Tuesday to Sunday. Are you a true beer lover and would like to get deeper knowledge about beer production? What about to visit two different craft brewers and end the tour in the nicest thematic pub in Curitiba? The tour begins at Bastards, an irreverent craft brewer in the neighbor town of Pinhais. The beer master will explain about the beer production and you will have one directly from the tank. The second visit will be at Maniacs, a smaller craft brewer with a bar. More explanations and beer from the tank to you! The last stop will be at We are Bastards Pub, the nicest beer pub in Curitiba. You will find 32 different beer taps and specialists will help you to choose. The menu has many drink and food options for you. The main room has live music for you to enjoy a nice evening out! The tour starts Fridays at 4:00 pm upon previous booking. Winery, brewery and cachaçaria (sugar kane spirit production). All in a nice and relaxed ride through the scenery of Serra do Mar Mountain Range. Visit the winery Família Fardo and know more about the wines produced there. Enjoy the downhill views at Estrada da Graciosa and taste the delicious craft beer of Porto de Cima Brewery. Take the road until Antonina and after take a boat tour on the beautiful Antonina Bay and round up the tour visiting Porto Morretes or Casa Poletto and taste cachaças! Tour available daily upon previous booking. What about to visit the beautiful natural sculptures of Vila Velha State Park and taste the delicious craft beer at Klein Brewhouse? Your day will begin early at 7:30 to enjoy it at most. Your guide will take you t o Ponta Grossa to see the natural wonders of Vila Velha in an easy hiking, mostly on paved paths. You will also see the Furnas and the Golden Lagoon. On the way back to Curitiba, you will visit Klein Brewhouse, the nice restaurant of Klein craft beer. You will taste 4 different craft beer sorts (already included). If you don´t like beer, you can taste sider or kombucha (a kind of tea). We reccommend to have lunch there – food is delicious! The tour happens Saturdays and Sundays, departing at 7:30 am with previous booking. Can you imagine travel to the days when immigrants arrived here? In this tour you will know the Dutch Settlements and be surprised with the history and memories of this place. Visit the biggest open air history museum in Brazil – the Parque Histórico de Carambeí – with replicas of old buildings and a very interesting collection. Visit one of the biggest windmill outside Holland in Castrolanda. Try the delicious cakes at the famous Frederika’s. Tour available from Wednesday to Sunday. Discover the beaches, trails and the main sights of Ilha do Mel – such as the Fortress and the Lighthouse – in this 1-day trip. A great choice for those who want to shut down a bit the rhythm of the city and reconnect with nature in this small paradise within a short distance of Curitiba. In Ilha do Mel there are no cars or paved paths – you will walk on sand trails. Visit a piece of paradise called Ilha do Mel – a perfect place to leave routine behind. See the main attractions of the island: the beatiful Encantadas Cave, the Lighthouse from where you will have amazing views, the peaceful Praia do Farol and Praia de Fora, great for surf. If you want to walk more, you can go until the Fortress along the beach. A full day tour for you to enjoy at most! Tour available daily. If you are planning your moments as couple in Curitiba, this two tours at least need to be in your list! This tour package includes the two most booked tours for those who visit Curitiba. See the most beautiful attractions of Curitiba during a private sightseeing tour. Enjoy the rail tour to Morretes through the Atlantic Rain Forest, have a regional meal, visit Antonina and return along the Graciosa Road. An essential and practical tour package for your trip! For fine wines and great gastronomy lovers we highly recommend this tour package! You will see the most beautiful attractions of Curitiba during a private sightseeing tour. Enjoy the rail tour to Morretes through the Atlantic Rain Forest, have a regional meal, visit Antonina and return along the Graciosa Road. Taste fine wines and see the beautiful landscapes at Vinícola Araucária – you will have a guided visit with wine tasting of the locally produced wines and sparking wines. Enjoy your moments as couple in Curitiba with the personal service you deserve. If you want to know the classics tours in Curitiba, this tour package is what you need for your trip. Booking this package you guarantee a private sightseeing tour to see the most beautiful attractions of Curitiba; the famous rail tour to Morretes; and the opportunity to know the amazing stone formations at Vila Velha Estate Park – the gorgeous landscapes of Campos Gerais will also surprise you. You will not have to worry about anything, just enjoy the most of your trip! This tour package it is perfect for the couples who want to know the attractives in the city and also enjoy the best of our region. Enjoy your moments as couple in Curitiba with the personal service you deserve. You will make a private sightseeing tour and see the most beautiful attractions of Curitiba; the rail tour to Morretes through the Atlantic Rain Forest and have a regional meal; and also know the Ilha do Mel (Honey Island) paradise, with amazing beaches, during a full-day tour. Leave the stress behind while you walk on the sand paths of this charming island. Buy here the tickets to visit Beto Carrero, the biggest amusement park in Latin America. With over 100 attractions, including roller coasters, amazing shows, zoo and Pirates Island, the park is an attraction for all ages. Ensure your passport in advance and save money! For anyone who lives in Curitiba or visits Curitiba, enjoy Beto Carrero, the biggest amusement park in Latin America! Located just 200 km from Curitiba, Beto Carrero has over 100 amazing attractions, including extreme rides, shows, roller coasters and more. The tour can be booked for every Saturday and includes transportation (round trip) from Curitiba to the park, plus the ticket for a day to enjoy the sights. Book your seat! Visit the entertainment park Beto Carrero World during your stay in Curitiba! A private tour with all comfort you need, available when the par kis open with previous booking. The park opened 1991 and is today the biggest and most complete entertainment park in Latin America. Enjoy all attractions in the same place for joy and fun for all ages! The Vila Velha State Park is located in Ponta Grossa, 90 km from Curitiba, and is one of the main and most popular attractions for Paraná’s visitors. During the tour in the park, you will be exposed to nature to admire the sandstone formations that date back 300 million years, carved by the action of rain and wind. “Furnas” (well-shaped circular craters) and “Lagoa Dourada” are other must-see attractions. Tour available from Wednesday to Monday. Visit the Vila Velha State Park, one of the most popular attractions of the region, with its impressive sandstone formations, Furnas and Lagoa Dourada. On this tour, you still visit Campo Largo, considered the capital of Brazilian porcelain. You will visit several stores of the region and also the winery Famiglia Zanlorenzi, producing table wine since 1942. In this package, you will discover the stunning sandstone formations of Vila Velha, “Furnas” and “Lagoa Dourada”, the must attractions for anyone visiting the park. After, a visit to Witmarsum, a rural settlement founded by Mennonite immigrants in the 50s that even today preserves Germanic traditions. A quiet and very nice place where you can still enjoy delicious typical German meals (not included)! Tour available from Wednesday to Sunday. Do you wish a day with much nature contact in the beautiful region of Campos Gerais? The day begins with a visit to Vila Velha State Park – hiking along the stone formations, Furnas and Golden Pond. The trip goes further along the rural area of Ponta Grossa to Buraco do Padre. The access to the beautiful waterfall is along an easy trail of 1 km lenght, accessible to wheelchairs. Time to enjoy the waterfall before returning to Curitiba. Departures from Thursday to Sunday at 7:30. A different and interesting tour option! In one day, visit the Vila Velha State Park and its must-see attractions: the sandstone formations, Furnas and Lagoa Dourada. Then, get to Castrolanda and Carambeí, nice Dutch settlements in the region. A historical tour with beautiful scenery. See also one of the largest mill outside the Netherlands and the beautiful Carambeí Historical Park, which reproduces the lifestyle of the Dutch Immigrants. Tour available from Friday to Sunday. In this package with and overnight stay, you will have the opportunity to meet two major attractions of the region. The Canyon Guartelá is the 6th biggest in the world, located in Tibagi. The easy hiking tour takes about five hours, with a stunning scenery. You can also do rafting or abseiling (optional). In the next day, you will know Vila Velha and its incredible landscape of sandstone, plus the Furnas and Lagoa Dourada. Visit the beautiful Vinícola Araucária in a guided tour to the winery areas, wine production and have also a wine tasting there. If you preferer, you can have a lunch harmonized there (optional). It is perfect for people who like to appreciate good wine! Available daily in different departure times: 8:00, 9:30, 11:00 and 13:30. Enjoy better your last day in Curitiba with a visit to Vinícola Araucária begore go to the airport! The tour includes the wine production, outside area, wine tasting and transfer to the airport. If you prefer you can have a lunch there (not included). Available daily in different departure times: 8:00 (for flights after 14:30), 10:30 (for flights after 15:30), 12:00 (for flights after 17:00) and 13:30 (for flights after 19:00). Familia Fardo Winery was born from the dream of the gaucho Ambrosio Fardo to produce his own wine here in Paraná State. For our fortune, his dream became big and the wine, all excellent. The winery was built entirely with stones and during the visit you will learn about the production process and will taste three different kinds. A true lecture about wines for those who want to learn more or just enjoy drinking! Enjoy a nice afternoon in a rural area close to Curitiba! You will visit the Italian and Polish colonies in the region, and taste an amazing colonial coffee. The region of Wine Route also has a beautiful scenery, and you can try and buy local products too. The tour happens only on weekends (Saturday and Sunday). You can make your tour more special in your own way! Book the picnic basket with its accessories and choose yourself what you want to eat and go shopping. We deliver the basket with table clothing, blanket, screwdriver, cutting board, knives and one-way glasses, plates and napkins.Our guide will tell you about the possible places where you can enjoy the picnic! During your tour in Curitiba you can make a stop for a delicious picnic! Book your basket and we delivery for you enjoy. This option is light and includes regional specialties, such as red wine (it can be replaced by grape juice if you prefer! ), whole wheat bread, light cheese, apple, whole wheat cookies and a blanket. Our guide will tell you about the possible places where you can enjoy the picnic. For make your tour in Curitiba more special book with us a traditional picnic basket! This option includes: all the accessories for your picnic and delicious regional specialties, such as red wine (it can be replaced by grape juice if you prefer! ), bread, fine cheese, salami, apple cinammon crostiti (fine crusty dough), cookies and a blanket. We will deliver the complete basket for you during the tour. Our guide will tell you about the possible places where you can enjoy the picnic it does not matter if the sun shines or it rains. Now you can make a picnic during your tour in Curitiba. Book with us the complete basket: this is the vegetarian option and includes all the accessories for your picnic and delicious regional specialties, such as red wine (it can be replaced by grape juice if you prefer! ), bread, fine cheese, Minas cheese (White, light cheese), cashew nuts, cookies and a blanket. We will deliver the complete basket for you during the tour. Our guide will tell you about the possible places where you can enjoy the picnic! Located only 70 km from Curitiba, Lapa is a pleasant destination for people who like history and culture! Founded by “tropeiros” – former cattle rangers, that had a fundamental task in Brazil´s development – Lapa hosts its memories in several museums like Historical Museum, Lacerda’s House and the “Pantheon of Heroes”. Enjoy the experience of visiting the 6th biggest canyon in the world! In a tour full of activities, you will discover Guartelá Canyon, beyond the hikes, river bathing and amazing landscapes of Campo Gerais. Tour available from Wednesday to Monday. Discover the exotic and rustic side of Paraná! Superagui Island will surprise you with its exuberant nature, in a nice and quiet atmosphere. A tour of three days, which a guide will take you through the best attractions of the Island. This option includes the best tours in the area! You will see the exotic birds returning to Pinheiros Island and make a boat tour to Ilha do Cardoso. If you like to be independet and prefer to book only the transportation, this is a good option for you. The van departs at 9:30 from the rail station to Morretes. There you will have time to visit the town and have lunch wherever you prefer. Board on the train in the afternoon to return to Curitiba. The train departs at 15:00 and you will arrive about 19:30. The tourist car includes Portuguese speaking guide, snack and 1 water or soda per person. Do you prefer to start your tour later and want to travel in the tourist category of the train (in Portuguese)? This tour is for you! The pick-up time is from 9 to 9:45 am and after everybody is on board of the van, you will be driven to Antonina and Morretes. Visit with your guide these two lovely towns, have a typical lunch and return in the afternoon to Curitiba by train. The arrival time is about 7:30 pm and then the van will leave you at your adress. It is a shared tour, with other travellers, mostly Brazilians. What about starting the tour a bit later and return from Morretes to Curitiba by train on board of a charming Cabin car – 1930’s style? This is a complete tour: it includes pick-up at your hotel or central address, English/Portuguese speaking guide, visit to Antonina and Morretes, typical regional lunch, and train ticket from Morretes to Curitiba in a Cabin car. This is a shared tour – you will be in a tour group, mainly with Brazilians. What about to start your tour a bit later and return by train from Curitiba to Morretes in the luxury train? In this option you will arrive by van, visit Antonina and Morretes, taste the regional food and then return by train to Curitiba. Indulgement in the luxury category – great ambiance, much comfort and vintage style! This is a shared tour – you will be in a tour group, mainly with Brazilians. Do you want Independence and wish only the train ticket to Morretes in the most booked category? The tourist category has often departures and Portuguese speaking guide on board. If you prefer English, look for the options in Cabin / Imperial / Standard Litorina / Luxury train. It departs from Curitiba at 8:15 and arrives in Morretes about 12:30. On this tour, you will visit the Marumbi State Park, one of the favorite places of hikers and nature lovers! During a day, you will contemplate a walking in the Atlantic Forest, with stunning scenery. Train departures from Curitiba to Marumbi Station. Recommended for people in good physical conditions and used to hikings in mountains. Do you want only the one-way ticket, but travel by train with style in a vintage car? The Cabin and Imperial category are great choices with the charm of the 1930´s. It departs from Curitiba at 8:15 and arrives in Morretes about 12:30. Would you like to book only the train ticket, but have the best available comfort? Book the Deluxe Train and enjoy the tour with much style and elegance. The Deluxe train departs at 8:15 or 9:15 (it depends on the date). Will you arrive in Morretes by your own and would like to book the train ticket to Curitiba? The tourist category has often departures and Portuguese speaking guide on board. If you prefer English, look for the options in Cabin / Imperial / Standard Litorina / Luxury train. The train leaves Morretes at 15:00 and you will arrive in Curitiba about 19:30. Will you arrive in Morretes by your own and are looking for a stylish, vintage way back to Curitiba? Book train ticket in the Cabin category from Morretes to Curitiba. It departs at 15:00 from Morretes and arrives around 19:30. You will arrive by your own in Morretes and wish to get to Curitiba with maximum confort and elegance? Book the way back in the deluxe train from Morretes to Curitiba. It departs at 15:00 from Morretes and arrives around 19:30. Are you crazy about railroads and do not want to miss a single detail of this one? Book the ticket to Morretes and back by train. The tourist category has often departures and Portuguese speaking guide on board. If you prefer English, look for the options in Cabin / Imperial / Standard Litorina / Luxury train. It departs from Curitiba at 8:15 and arrives in Morretes about 12:30. The train leaves Morretes at 15:00 and you will arrive in Curitiba about 19:30. Are you crazy about railroads and want to travel stylish in a vintage car? Book the return ticket in the Cabin / Imperial category and enjoy the landscapes and the train on the way to and back from Morretes. It departs from Curitiba at 8:15. You will back in Curitiba about 19:30. The way back from Morretes to Curitiba happens only in the Cabin car. You love railroads and would like to have the most of it with comfort and elegance? Book the return ticket and enjoy the landscapes and the train on the way to and back from Morretes. The Deluxe train departs at 8:15 or 9:15 (it depends on the date). You will back in Curitiba about 19:30. A good option if you prefer private service! In this tour option you will have a driver-guide only for you to enjoy the tour – in English, Spanish or German. Your friendly guide will pick you up at 7:30, drive you to the railstation, explain about the tour and then pick you up in Morretes. During the railtour itself, there is only Portuguese speaking guide on board, but your private guide will explain the basics before you start the tour. If you wish other train categories, just ask us for the options. Visit Morretes and Antonina, two lovely towns. Try the local cuisine where you prefer – the restaurant choice is up to you, as the lunch is not included. Return to Curitiba in the afternoon to your hotel or to the airport. In this private tour you will know the unforgettable train tour from Curitiba to Morretes, through Serra do Mar. After, in Antonina, you will take a boat ride around the bay to enjoy the beauty of the local nature, like birds, mangroves and maybe even dolphins. An option for nature lovers! Besides the traditional train tour through the Serra do Mar Paranaense, from Curitiba to Morretes, this private tour is for those looking for a little more about culture and history! You will visit the city of Paranaguá and know the attractions of the city, such as its historic houses, Rocio’s church, the Museum of Archaeology and Ethnology and the Aquarium of the town (optional). Interesting option for those who want to enjoy the most during only one day in Curitiba. The package includes a city tour in Curitiba, then a trip to Morretes through amazing Graciosa Road and return to Curitiba with the famous train tour through Serra do Mar. All with the comfort of a private tour! For those who love adventure and enjoy nature this is an excellent choice! In this tour you will admire the amazing nature during the train tour to Morretes through Serra do Mar Paranaense, and during the afternoon, canoeing on the Nhundiaquara River. Return by van to Curitiba. A single day two incredible destinations: the train tour and Ilha do Mel (Honey Island)! Classic and unforgettable train tour through the Serra do Mar to Morretes, and then a boat trip to the stunning “Ilha do Mel”. On the Island, you will have two hours to know the beauty of the region. This private tour is available for all days of the week. Trip from Curitiba to Morretes in the amazing train tour through Serra do Mar and the breathtaking scenery of the Atlantic Forest. Then do a rafting in Antonina of two hours at the Cachoeira River. For those who like adventure and nature! Return to Curitiba by Graciosa Road. This tour depends on the river conditions and may not be available. Enjoy the incredible train tour from Curitiba to Morretes through the Serra do Mar, crossing the Atlantic Forest. In Morretes, enjoy the breathtaking landscapes and biodiversity of Pau Oco State Park during the walk to the “Salto da Fortuna”, main attraction of the park. You will also have the chance to try the typical meal of the region: barreado! Return to Curitiba by van. Enjoy the nature at most in the middle of the Atlantic Rain Forest, combining this experience with one of the most popular tours in Curitiba! Go with the train until the Marumbi Station with your hiking guide and discover the Itupava Trail, an ancient indian path that links the coast to the first highlands. The hiking tour takes about 2h30 in the middle of the forest. After arriving in Porto de Cima, visit Morretes. Enjoy intensely Ilha do Mel in this tour of 3 days and 2 nights! Besides knowing this paradise, you will have the opportunity to make an incredible train ride from Curitiba to Morretes through the Serra do Mar. On the first day, you will have the assistance of a gu ide until the check-in at your guesthouse. He will give you first-hand tips about Ilha do Mel. The tour includes two nights in a charming guesthouse and return to Curitiba by a regular bus (ticket is included). A complete and unique tour for those looking for relaxation and contact with nature, with the comfort of a private service. You will have 3 days and 2 nights to enjoy Ilha do Mel and its beauties, and also make the famous train ride to Morretes. Our guide will assist on the first day until the check-in at your guesthouse and will be waiting for you on the third day in Pontal do Sul for the return transfer to Curitiba. Visit the main postcard of Curitiba and other spots in town cycling! The tour takes three hours and you will ride most of the way on bike paths. Discover Curitiba actively! In this 3-hour bike ride you will pass by some of the major attractions of the city: Passeio Público (Curitiba´s first park), Pope´s Woods, Oscar Niemeyer Museum, São Lourenço Park and finally Wire Opera House. Reach one of the biggest parks in Curitiba by bicycle! The Barigui Park is one of the most beloved ones by locals, especially on weekends. You will also pass by the Passeio Público (Curitiba´s first park), Fonte de Jerusalém (Jerusalems Fountain) and Japan Square. The tour lasts 3 hours. Curitiba has on its streets an incredible artistic and cultural side. In this tour, you will ride a bike through downtown and enjoy the many works and urban interventions throughout the city, such as Poty Lazarotto panels. This is a great experience for those who like to ride a bike and enjoy a good coffee, of course! Know interesting and cozy cafés of the city in this brand-new tour in Brazil. In each stop, there will be commented tasting and you will have the opportunity to taste at least four varieties of special coffees. Enjoy Curitiba’s night biking and discover some of the most interesting pubs in town! The tour lasts about four hours and will take you to the Alto da XV and São Francisco pubs, regions near downtown with good options to let the tour even more fun. In addition to the breaks in the bars, the tour ends at a place where you can dine. For photography’s lovers, on this tour you will ride in many touristic points of Curitiba, which are highlighted at night! Use your shooting skills and enjoy the beauties of the town. If you are counting for the summer days, this is a perfect option! Enjoy your day at Waterpark Águas Claras – is a trip of less two hours from Curitiba. At Águas Claras the fun is for whole family, with several pools, water slides, snack bars and nature activities like fish and pay, paddle, tyrolean and canopy tours. But the tickets in advance with us! Enjoy a fun day in a water park. Tour with transport from Curitiba and ticket to the funny Águas Claras Waterpark! You will have all day to enjoy the pools for kids and adults. There are two heated pools, water slides, restaurant, snack bars and optional activities like fishing and adventure activities. Lunch at the restaurant is included in this tour. In this tour you can match the famous train tour from Curitiba to Morretes, crossing the Serra do Mar Moutain Range, with an afternoon in the Waterpak Águas Claras. The tour is very complete and the fun is guaranteed for whole family. There are two heated pools, water slides, restaurant, snack bars and optional activities like fishing and adventure activities. Lunch at the restaurant is included in the tour price. Book with us your private shuttle from the airport to your hotel in Curitiba, and avoid waiting in queues for taxis and buses. Arrive at your hotel with more comfort and learn about the city and get tips to make your stay more enjoyable. Book your reliable private transfer in van with portuguese speaking driver from the airport to your hotel in Curitiba. The driver will be waiting for you at the airport in Curitiba and will bring you to your hotel. This service does not include guide assistance. Book with advance and ensure the comfort of a private shuttle from airport to your hotel in Curitiba, and at the end of your stay, return to the airport. Avoid spending your time in taxi and buses queues, and still learni during the way more about Curitiba and get tips on what to do in the region. Book your reliable private transfer from the airport to your hotel in Curitiba and back. Our driver will be waiting for you at the airport in Curitiba and will bring you to your hotel. This service does not include bilingual guide assistance. Book a private van with a portuguese speaking driver to be at your disposal in Curitiba for 5 hours! The driver will take you to every place you need during this period and will be waiting for you in each stop. This service does not include guide assistance. Book a private van with a portuguese speaking driver to be at your disposal in Curitiba for 10 hours! The driver will take you to every place you need during this period and will be waiting for you in each stop. This service does not include bilingual guide assistance. Rise you tour in Curitiba to another level! What about to have amazing pictures with Curitiba as background? Make your moments here last forever in beautiful pictures taken during a professional photo shoot. The photographer will be with you during 2 hours to take very nice pictures! Very natural pictures in charming places of Curitiba. We suggest Downtown or Centro Cívico, where there is a great variety of interesting places. Exclusive for people who booked the tour package Curitiba Essential, Curitiba Classic or Curiitba Bon Vivant. Have you booked one of your packages for couples, but prefer a private full-day sightseeing tour in Curitiba? Book this up-grade to visit all main sightseeing places of Curitiba. A great up-grade for couples who want to have a greater overview on Curitiba! Exclusive for people who booked the tour package Curitiba Essential, Curitiba Classic or Curiitba Bon Vivant. What about to up-grade your train tour in the deluxe category? The deluxe train is unique in Brazil and will be certainly an unforgettable experience! Feel welcome drinking sparkling wine, have a nice snack on board and enjoy the delightful ambiance – exclusive for until 22 persons per car. Book in advance! The deluxe train car departs normally weekends and holidays. Other days are subject to confirmation. Enjoy the advantages of this category! Exclusive for people who booked the tour package Curitiba Essential, Curitiba Classic or Curiitba Bon Vivant.